Item # 300418 Stash Points: 2,195 (?) This is the number of points you get in The Zumiez Stash for purchasing this item. Stash points are redeemable for exclusive rewards only available to Zumiez Stash members. To redeem your points check out the rewards catalog on thestash.zumiez.com. 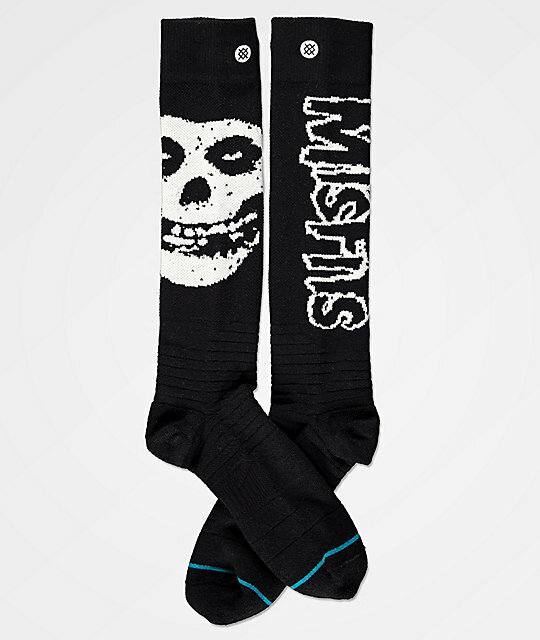 Rock your socks on with the Stance and Misfits Snowboard Socks. These ultra soft socks feature Stance's Toe Box Oven® technology for extra warmth as well as air channel cushioning to keep your feet ventilated. 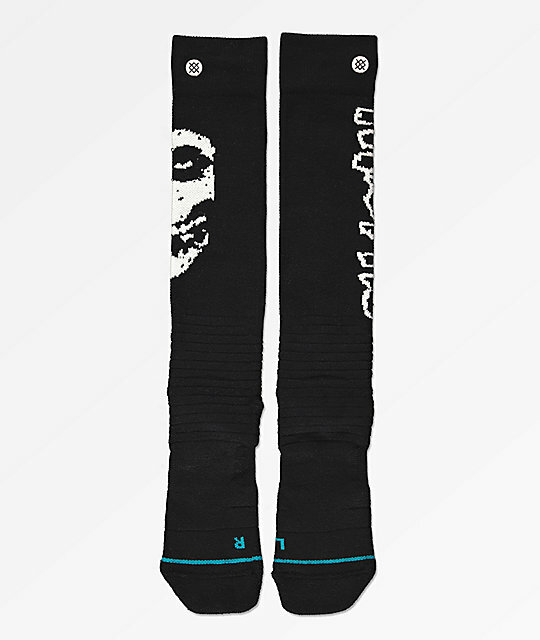 Step up your sock game this winter with the Stance and Misfits Snowboard Socks. Stance and Misfits Snowboard Socks. Snowboard & Ski Park Construction: Natural Merino Wool Fusion-Athletic Blend. Performance mesh from top of foot to arch for breathability. Air Channel Cushioning for softness with ventilation. Left & right anatomically correct asymmetrical engineered arch support. Athletic ribbed top ankle cuff for a secure fit. Signature Stance and Misfits logos embroidered throughout.